Grounds for challenging a will in probate court include fraud or forgery, a claim that the testator -- the person whose will is in question -- did not have the capacity to execute the will, or a claim of a spouse who did not receive her legally mandated share under a will. Legal challenges to the administration of an estate are more common and more frequently successful. A detailed working knowledge of the rules of procedure of the probate court in your jurisdiction will help you to contest a will or estate. File a notice of appearance with the probate court. Include your name, address and telephone number on the notice, as well as the name of the deceased person and the docket number of his estate case. Deadlines for filing notices of appearance in probate court are very strict, so be certain to file within the allotted time limits. File an affidavit setting out your grounds for challenging the will within the timeline set by the probate court. Typical grounds for challenging a will include lack of testamentary capacity or undue, inappropriate influence of another over the testator, according to Financial Web. Include any documentary evidence you may have to this effect, or any alternative will if you believe a different will should be in effect; if the alternative will is newer, the court is likely to follow it, advises FindLaw. If you are a spouse raising a challenge to claim your statutory or common law share of an estate that was not included in a will, include a certified copy of your marriage certificate with your filing. File an objection to any inventory, distribution plan or tax filing prepared by the executor of the estate promptly after it is filed in the probate court. Include with your objection any documentation supporting your objections, such as proof of ownership or value of additional property owned by the testator. Check your local probate court procedural rules to determine what kinds of discovery requests you can file, and the timeline for doing so. Submit discovery requests for documentation and information to the executor or other parties. 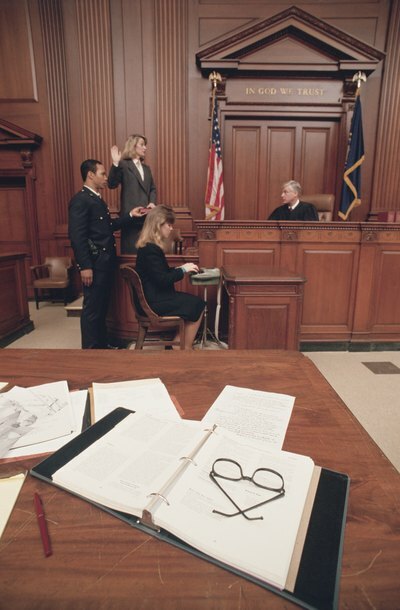 Notify the court and the executor and other parties ahead of the hearing of any witnesses you will be bringing to testify. Attend any hearings set by the court regarding your challenge to the will or administration of estate.